Bouldering is rock climbing stripped down to its raw essentials. Leave behind the ropes and harnesses – be BOLD! Physical movement and mental strategy! 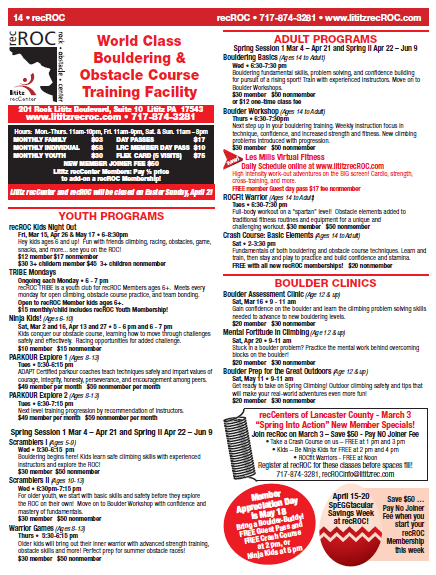 Climbing through “bouldering problems” consisting of routes or a sequence of moves across the boulder using balance, strength, and technique is the challenge – and the goal is to accomplish a problem in as little time as possible. 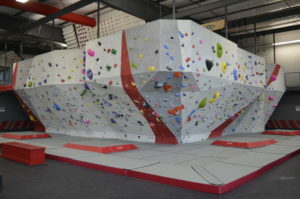 Bouldering is a family activity and recROC offers introductory classes and clinics for all ages. 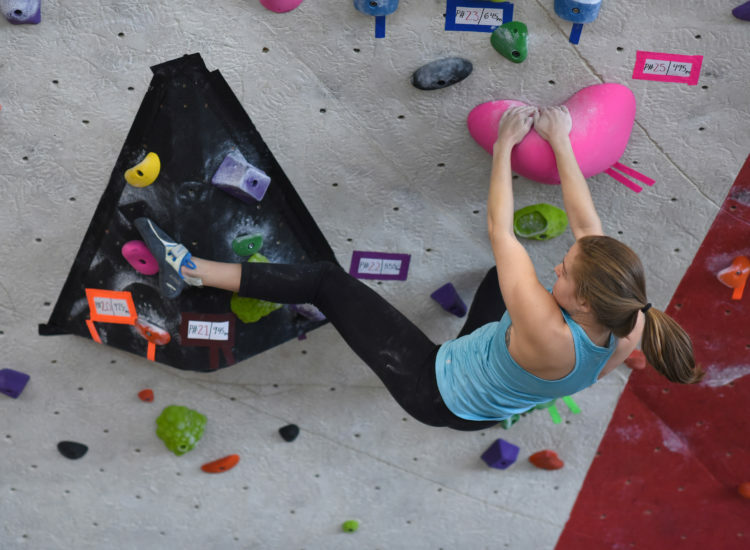 For our more accomplished and experienced climbers – top out into our “campus board” and unique climbing challenges to work your body and your brain. Bring a friend to step up the competition! recROC offers not only climbing challenge, but also opportunity to cross train on our obstacle course and traditional fitness equipment. Spartan, Tough Mudder, Ninja…. no challenge too big to tackle at recROC!